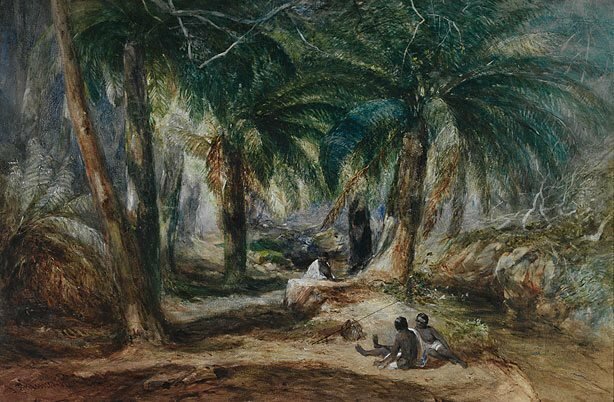 There are a number of watercolours by Skinner Prout of the same subject; it is also related to his lithograph 'Fern Tree Valley, Mount Wellington' in volume 1, part 2 of his series 'Tasmania illustrated' 1844. Signed l.l. corner, brown watercolour "J.Skinner Prout". Not dated.